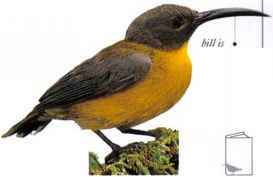 'I'llis bird is found at the edge of mountain rain forests and in secondary growth (bushes or trees regrown after forest clearance). 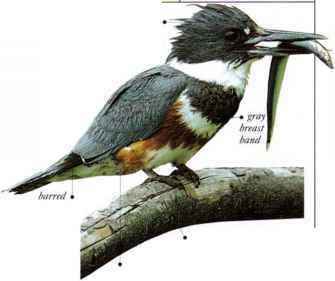 It feeds on insects and nectar, flitting among the foliage in a nervous manner. • NEST A deep, pouchlike nest of greenish plant material and spiderwebs, decorated with the white eases of spiders' eggs, and placed on the branch of a slender sapling. DISTRIBUTION • DISTRIBUTION New Guinea.